I spent a long weekend with my family in Marfa, TX this past weekend and it was basically the best! Several people asked me, "What's in Marfa?" when I told them we were going. Well, lots! My dad was born there, and my parents met and fell in love in Alpine, so that alone had me intrigued. I haven't been back to that area in many, many years. I wanted to see for myself, this magical art scene, along with the drastic change in scenery that I know and love in Austin. I found the cutest little airbnb home to rent and that was that. We spent our first hours there exploring. We parked and walked to the Hotel Saint George which also houses the Marfa Book Store. 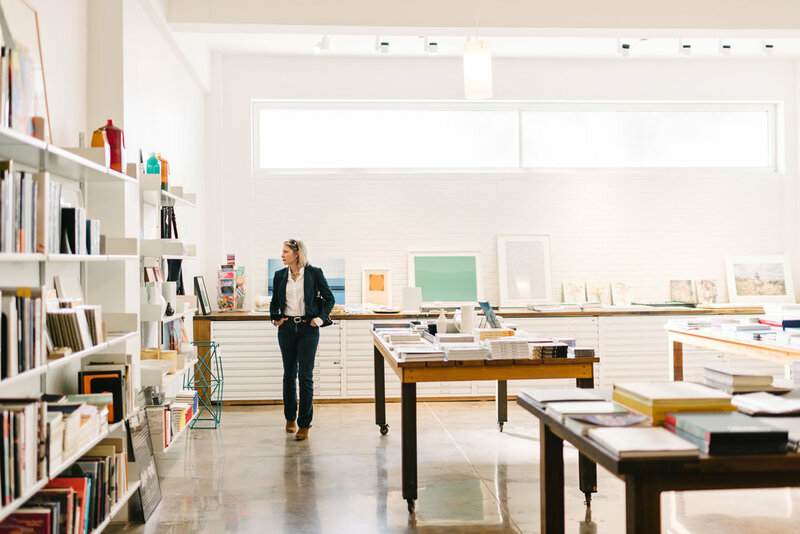 They had many unique selections of books, art, and retail. The adults enjoyed a tasty beverage while Kingston sketched happily in his new purchase from the bookstore. We walked along the street (Highland) and stepped inside of art galleries to find gorgeous surprises--Warhols! and other beautiful works. That evening, we ventured to see the "Marfa Lights." My dad has told me many a story about these so I really wanted to see what they were like. I am 99% sure that I saw at least one--pretty neat. 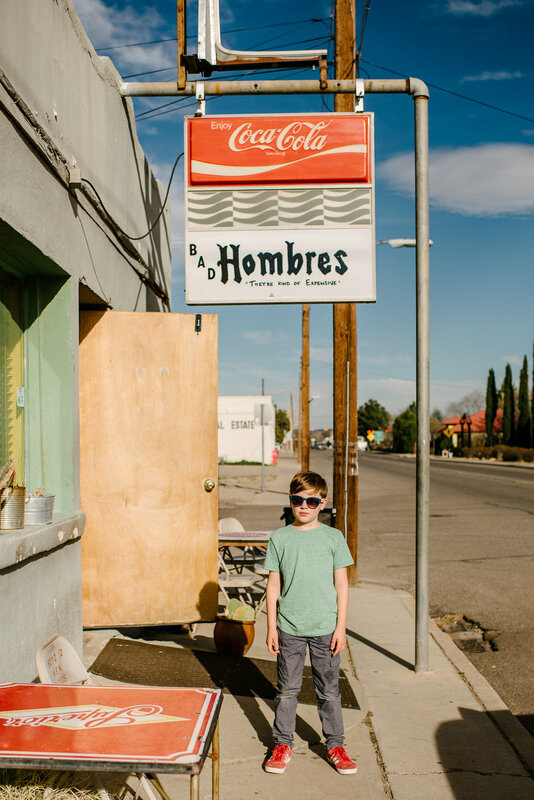 We woke up the following day and headed straight for Marfa Burrito. I cannot even describe to you how delicious these were. First of all--they are HUGE. One will do you. It's a hole in the wall and it's a must. 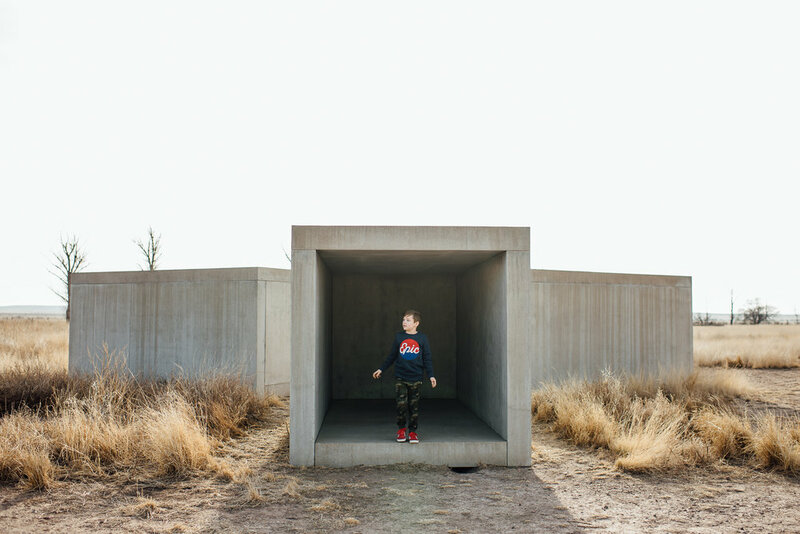 Just down the street from that is the Chinati Foundation, where we walked around to see Donald Judd's concrete installation. We were too early to see anything indoors and had other plans to head to Fort Davis, but we loved these! I went to Fort Davis as a child, and I loved it then. I was super excited to share that with Kingston! We arrived and headed straight to the McDonald Observatory to see what we could do during the day there. (We'd already booked the star party for that evening) It was fun, but not nearly as fun as going back that evening. More on that in a sec! We then went to have lunch, and headed to Fort Davis National Historic Site. While I have mixed emotions on this site, it's history and was still neat to see. My favorite part was the hike. Gorgeous view of Fort Davis at the top! After dinner, we headed back to the McDonald Observatory for the star party. I was actually worried that we wouldn't be able to see anything, because the sky had been partly cloudy/hazy all day. But wouldn't you know, it cleared up literally just as the party began and we had a blast! The night sky in this part of Texas in mind blowing. The area is considered one of the darkest in the United States because there is minimal light pollution and this makes the stars much, much brighter. The host was hilarious and informative. Kingston was fascinated by the telescopes and the amazing views of the stars and mostly, the moon. We also got 2 views of Venus! Attending a Star Party is a must if visiting. The next day we headed to both Big Bend Ranch State Park and Big Bend National Park. In all honesty, you need a whole weekend here. We hiked a little, but we will definitely come back to camp and properly explore. It's incredible. 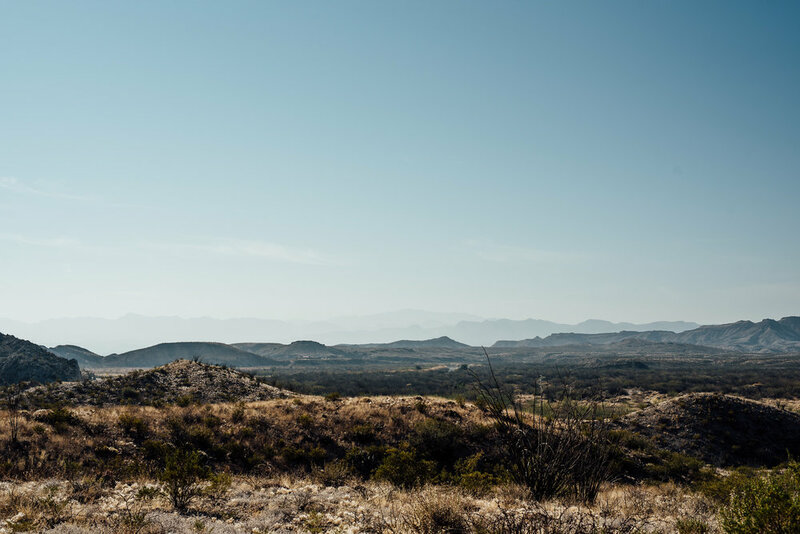 We were all in awe of the landscape and the natural border of the Rio Grande. It's absolutely beautiful and I hope that it remains untouched by any sort of wall or barriers. Some other recommendations: Pizza Foundation--delicious!! Ranch Candy--who doesn't love a candy store?! Hotel Paisano-another good place to grab a drink!